The design cover made of polycarbonate is the perfect choice, because it is not only offered in our standard colors such as: transparent, azure and fern green, but also available in any other RAL color of your perception. 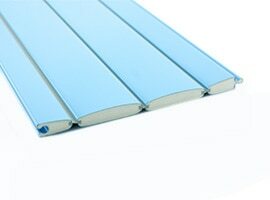 The cover of polyvinylchloride is certified with hail class 3 and available in six different colors such as: light ivory, blue, transparent or solar. The solar profile is transparent on top and dark colored on the bottom, so the water can heat up to 3C ° per day. 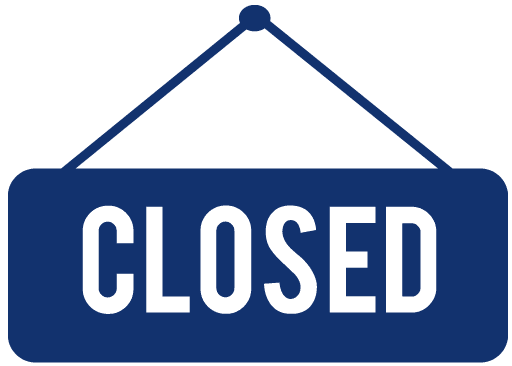 You are the owner of a public indoor or outdoor pool? Then the Mini Cover might be interesting for you, because the low-cost profile is the fully automated alternative to a foil cover. The Eco Cover is used especially in pools with special shape, because it is even possible to adjust the exact angle on site. The profile is available in light blue, pebble gray, ivory and pearl white. 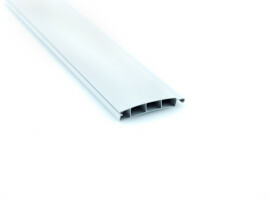 The profiles which are available in PC (polycarbonate) as well as in PVC (Polyvinylchlorid), offer excellent insulation properties and are winterproof. 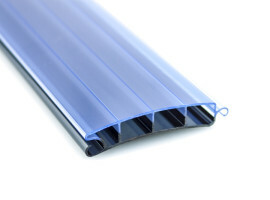 The profiles are available in various colors, PC Profiles are available in all RAL colors, the color-matching end caps seal the profiles and are also air- and watertight. 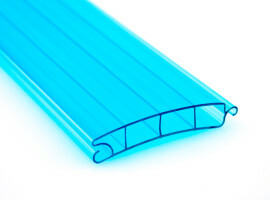 The design covers in PC and PVC offer the fourth additional air chamber which provides even more buoyancy and security, also than other products - Rollo Solar® profiles have been certified by TÜV Süd as appropriate for the European region. By using one of our solar profiles you also ensure that your pool water is heated by up to 3 ° C during the day. The special designed shape of the profiles allows the swimming pool water to drain quickly and prevented it from strong calcification as well as algae. The smooth surface structure offers effortless cleaning. Rollo Solar® profiles are certified up to a hail Class 4 in order to ensure your cover withstands even the strongest storms.